The growing expansion of cities has left many of us with postage-stamp yards, where every centimetre of outdoor space is deemed precious. Luckily, for the strapped-for-space homeowner, there are many truly beautiful climbing plants that do not take up much horizontal space to grow, which makes them one of the best options for tiny gardens, balconies and other small outside spaces. Climbing plants, sometimes called vines, grow wonderfully in tropical and temperate climates such as the ones Australia has. They are known as “climbing” because they do not have a trunk and rely on other vertical objects for support, like for instance trees, borders, doorways, and exterior walls. Let’s take a look at some of the best ways fast growing climbing plants can add beauty to your outdoor space. The borders of small gardens can feel overpowering and cold. But through the use of climbing plants, you can soften and decorate various hardscape elements. Quite similarly to how we use wallpaper and art prints to decorate boring interior walls, climbing plants can soften and add variety to your borders and exterior walls. I mean, who could resist a stone wall clad with some beautiful flowering climbers that emit captivating scents and create a stunning display of colours? If you have an arbour or an arched entrance of some sort, growing roses around it, especially the more fragrant varieties, can add a romantic touch to your landscape, making it resemble a cottage style garden. But if you do not have an arbour or an arch, you can use a recycled item for support, like for instance an old bicycle or a chair. These are just some of the hundreds of ideas on how to use fast growing climbing plants to bring a fairytale touch to your garden. In a small garden, there’s not much space to grow trees, so you might find yourself thinking about alternative options for natural shade. 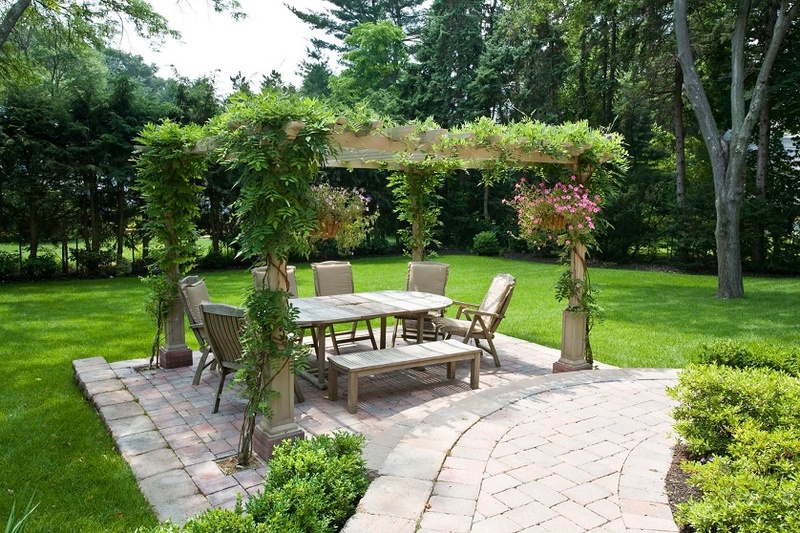 Why not try training climbing plants to grow around a pergola? Wisteria is a traditional favourite climber that’s used in combination with a pergola. It’s known for its luscious coverage of scented purple, pink, or white flowers. Be careful though, its thickly growing branches can run rampant unless regularly trimmed and neatened. Concerning privacy, the latest solution that many Australian homeowners have decided to adopt is a living wall of climbers. The fact that some climbers grow very densely together makes them perfect to use as privacy plants. But climbers can also be used to hide other things you do not want to be in sight, like for instance unattractive walls, garages, and sheds – camouflaging them under a cloak of green.